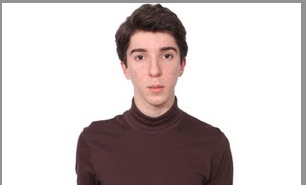 CHAPEL HILL, NC—Ascribing himself to an etiquette of open scholastic dialogue, the man sporting a maroon turtleneck is not about to raise his hand before offering his thoughts in your 20-person philosophy class. The man let his argument unfold slowly and contemplatively over the next 90 seconds, pausing, at points, to puzzle over interesting questions implied in his discourse and nodding toward your professor each of the many times he mentioned an assigned reading. As all other students persisted in raising their hands before speaking, the man intermittently looked up from his Moleskine notebook and heavily annotated text to articulate his views without warning several times more. Occasionally, he followed classmates’ comments by trying to engage them in direct dialogue, an effort which was not reciprocated. Even so, many in the class were impressed, if not also intimidated, by the man whose neck was almost completely covered by a birthday gift from his mother. While each of the next several questions was followed by longer-than-usual silence, the man looked in anticipation at his classmates before pursing his lips and giving a knowing look to the professor. He then, without raising his hand, said that he would “venture out onto the ice, if need be,” and spoke virtually uninterrupted for the last three minutes of class. Speaking to reporters afterward, your professor said that he took notice.